As humans, there are some certain situations and circumstances we do not plan or pray for and an auto crash is one of such. So many lives have been lost and so many dreams have been shattered as a result of this unpleasant occurrence. 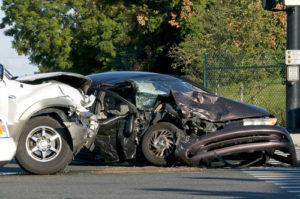 Several victims of car crashes aren’t able to return to their various offices or duty posts due to one deformation or the other. This has increased the need for these people to be settled and dully compensated. At Rawa Law Group, we strive to be the beacon of hope for all injured persons in Temecula by having one of our auto accident attorneys in Temecula, CA take up their cases. We understand how hard it is for car accident victims to get their compensation and that is why we have decided to take the bull by the horn. With over 55 years of combined legal experience, we have made ourselves a household name. We offer injured persons ethical legal counsel with no hidden charges. Also, the fact that we are always available to visit our clients at home or in the hospital stands us out. Rawa Law Group doesn’t charge clients for case evaluation as it is absolutely free. In fact, we do not get paid unless we win your case. If you or a loved one has been in an accident in Temecula and need a reputable lawyer to fight for your right, please reach out to us.